It is with profound sadness that the Fire/EMS Department has suffered another on-duty death within our agency. John Burns was the Assistant Chief and President of the Kentland Volunteer Fire Department, as well as a Public Safety Communications Fire Dispatcher. John suffered a medical emergency while on duty at Station 833 on Sunday night, and his medical condition quickly deteriorated. Unfortunately, and after several hours of expert medical care, he was declared deceased at Baltimore Shock Trauma in the early morning hours yesterday. Every loss of life in the fire service is difficult to absorb and hits home for all of us, and this is why we will stand beside the Kentland VFD and the Burns family during these difficult times. 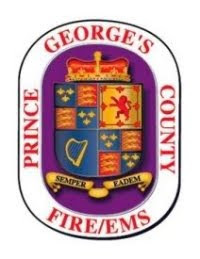 To honor the service that Assistant Chief/President Burns has provided to the citizens and visitors of Prince George’s County, I am hereby asking for all County flags to be lowered to half-staff at all Fire/EMS Department stations. The Prince George’s County flags will remain at half-staff from dusk today through dawn of the day after his funeral. Funeral plans have not yet been determined, and additional details will be provided at they become available. Please keep the Burns family, the Kentland VFD, and our extended family at PSC in your thoughts and prayers. Prince George's County Fire/EMS Dept.